Do you want to clean and shine your residence of all the debris, construction materials and filth that were left behind during repairs? No worries. Seek help from Urgent Cleaning and we will get your home spotless in just a day. 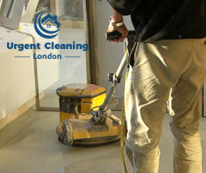 Our specialty is after builders cleaning and we work within London. We are very motivated, skilled, trained and qualified. Plus, we have extensive experience and lots of cleaning products that work wonders. We are hard workers, who are available from Monday to Sunday. Bookings can be made over the phone. Want to book? Dial this number straight away. If you always thought professional cleaning services were expensive, it’s because you haven’t hired our company. We have affordable rates and we give free of charge price quotes in advance for anyone who wants to know how much they have to pay. So don’t worry, our after builders cleaning in London is absolutely affordable. 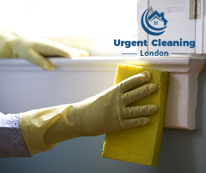 Our cleaning program involves, but is not restricted to, the following tasks: vacuuming all areas (stairs, floors, furnishings, carpets, etc), sucking up debris, removing stains, cleaning ceilings and walls, sanitising skirting boards, discarding construction materials, cleaning windows, sills and frames, removing plaster and paint off the walls, light switches, floors, door frames and window frames; dusting, cleaning and polishing wooden surfaces, cleaning and disinfecting bathrooms, toilets, living rooms and kitchens, cleaning cupboards, mopping the floors. If there are cleaning tasks you would like done but that are not listed, don’t despair. We suggest you give us a call and tell us all about it. Our telephone operators will let you know whether we can address your requests or not. If you need more information about our after builders cleaning service in London, don’t be intimidated to dial our contact number and get to speak to our representatives.